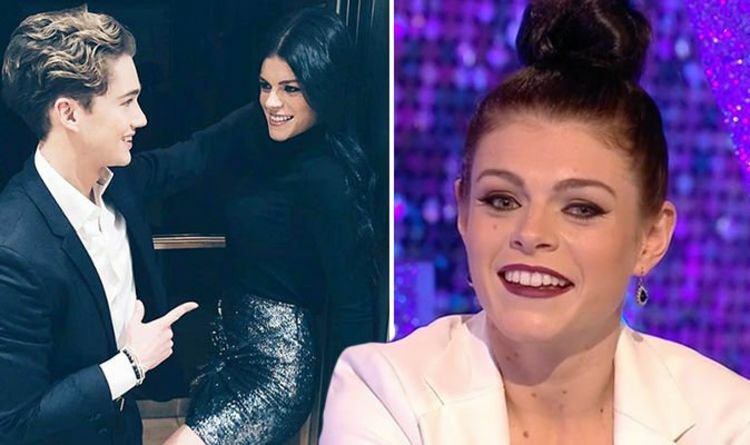 Strictly Come Dancing 2018 professional AJ Pritchard, 23, made the comment as he and Lauren Steadman, 25, looked back on their journey from the show during their exit interview with Zoe Ball on spin-off It Takes Two. While watching the clips, the pro gushed over his time with the athlete, saying she had an “infectious” smile. Amid watching a VT of their Samba routine, Zoe asked him what his thoughts were on the dance. He replied: “Honestly, this dance for me was about personality, going out there and having fun and that’s exactly what happened. She then asked Lauren what she thought of her performance watching it back. She said: “I actually feel super happy and looking back, we have had so much fun. “And I’ve loved every second; never in my wildest dreams did I think I would ever look so elegant on the floor. Also on the show, Lauren’s parents thanked AJ for helping the Paralympic athlete with her dancing. In a video from home, her father began: “Strictly Come Dancing semi-finalists… absolutely amazing and I am so proud of you. Last night the dancing duo were voted off of the show after a dance-off against Ashley Roberts and Pasha Kovalev. Like all the dance pairings last weekend, AJ and Lauren performed two dances; the Samba to Rock The Boat by The Hues Corporation and a Tango to Tina Turner’s Nutbush City Limits. The duo’s Tango dance received mixed comments from the four judges. Head judge Shirley Ballas told the pair: “I felt you kept the correct character from beginning to end. Bruno Tonioli added: “That was your most grown-up and mature performance to date. It’s difficult to sustain. All four judges chose to save Ashley and Pasha after the dance-off, which put them through to the final this weekend.